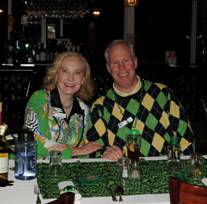 St. Patrick’s Day Party was a big success. We enjoyed a traditional corned beef and cabbage dinner.The Murphy Irish Dance Company performed and it was wonderful and thrilling to see these kids dance. They had won first place that day in a competition, and it was easy to see why they had won.